Toddler Approved! : Join our 2017 100 Acts of Kindness Challenge! Join our 2017 100 Acts of Kindness Challenge! Hi all! Happy Weekend! I am popping by just really quick to tell you that our annual 100 Acts of Kindness Challenge kicks off on Monday, January 16th (tomorrow!)! We've teamed up once again with the awesome Megan of Coffee Cups & Crayons for this series! Megan is the queen of kindness and has so many fun projects she's done that I can't wait to share with you! If you plan to join in this year, rush over and join our 100 Acts of Kindness Facebook group so that you can stay in the loop and see the fun things we have in store for you this year! We challenge YOU and your kids/family/students, etc. 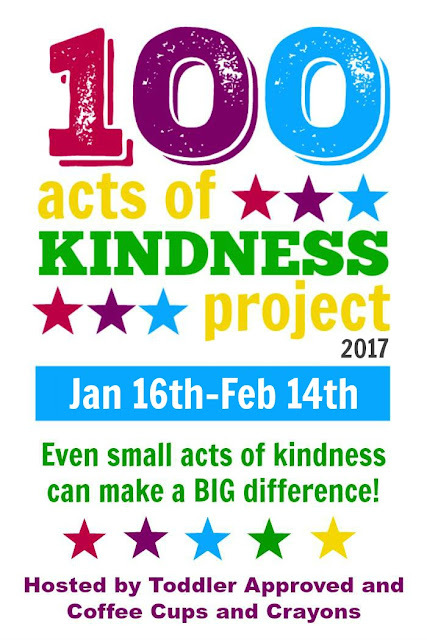 to accomplish 100 Acts of Kindness between January 16th and February 14th. Do you think you can do it? 1. Well, first you join our 100 Acts of Kindness Facebook group. If might take a few minutes for us to accept you, since we have to add each new member by hand and that means we have to be awake and near our computer/phone. 3. After you join the group and introduce yourself, start brainstorming how you are going to keep track of all 100 acts of kindness that you do. 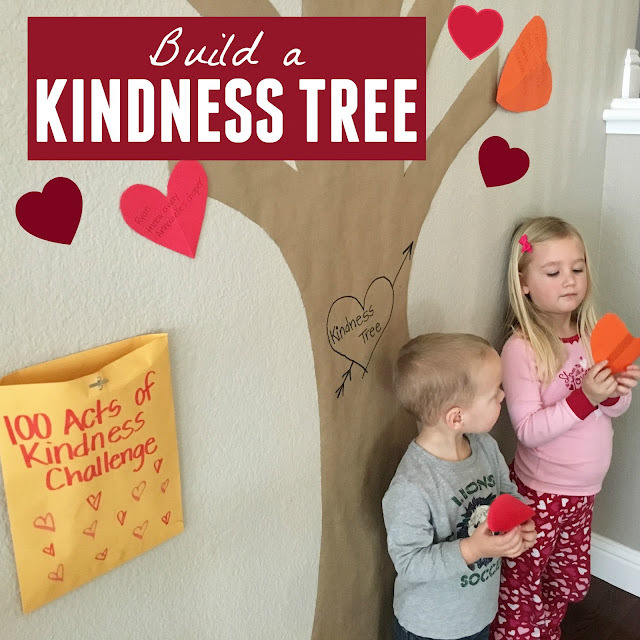 Last year we created a Kindness Tree and I loved it. You can keep it really simple or make it more complex. We'll share a few more ideas with you on Monday. 4. 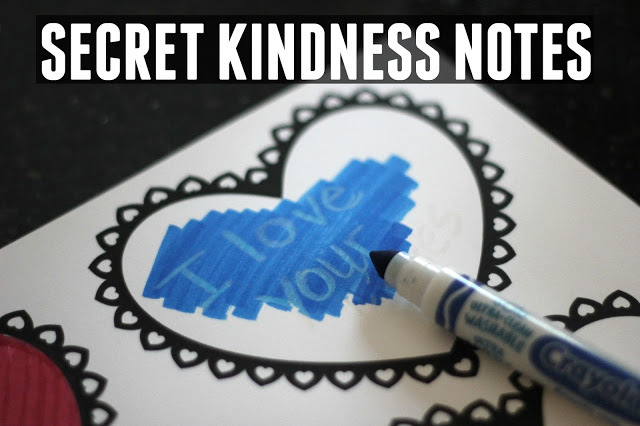 Once you've figured out a way to keep track of your kind acts, start doing them! I can't wait to hear what you decide to do. You can do super simple acts of kindness in your homes and you can move beyond your little sphere and reach out in your communities or even worldwide. 5. Follow the hashtag #100actsofkindness on Instagram and check out some of the activities we share over there too. I'm @kristinatoddlerapproved and Megan is @coffeeandcrayon. Alright, time to get creating! Head on over to our Facebook group and join in!! Thank you for sharing this. If we all teach our children to do this perhaps it will change the negativity going on in our country today as well as make someone's day a bit brighter.